It's our pleasure to host Nonfiction Monday this week! 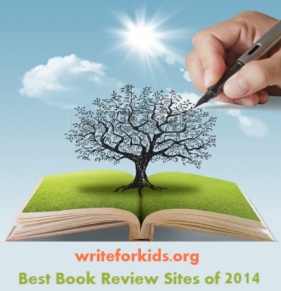 Add your nonfiction reviews to Mr. Linky at the bottom of this post. Be sure to check back throughout the day to read all of the nonfiction reviews. I checked this book out of my local public library. Okay. Here’s a loaded question: Who hasn’t entertained the possibility of writing a book? Seriously, haven’t you daydreamed that once written and published, your book will be well-reviewed in Kirkus or The Horn Book Magazine, and might even be a Newbery winner or honor book. Come on. Be honest. If you’re like me, you might have a file drawer full of ideas that might have a beginning, but never a middle or an end. You say to yourself, “How does an author get from an idea to a completed story?” I got my answer after reading Just Write: Here’s How by Walter Dean Myers. It’s all about the process and hard work, and who better to take us through that process than the current National Ambassador for Young People’s Literature. Ladies and gentleman, a round of applause for Mr. Walter Dean Myers. The book is set up like your own personal writing course. Each of the twenty-one chapters being the next step in moving forward with your idea. “The structure is simply a question or problem, a logical road leading to an answer to that question or problem, and the answer or conclusion itself.” Simply put, a beginning, a middle, and an end. We learn about the need for an outline, revisions, and detailed notes on each of your book’s characters, and that daydreaming is another equally important facet in writing. For each example, Myers references his own books and includes reproductions of his handwritten notes which were helpful, except I found his cursive handwriting difficult to decipher. Walter Dean Myers has written many (over 100) books that children devour. Fallen Angels, his story that takes place during 1967 and the Vietnam War is one that I frequently replace because it wears out after repeated readings. When he is not writing, Myers gives generously of his time hoping to make a positive difference in the lives of young people. He visits correctional facilities, jails, and schools. Visit his web site to learn more about him. So, the next time someone comes up to me, regardless of their age, and says they have an idea for a story, I will recommend they read Just Write: Here’s How! by Walter Dean Myers before they record that first sentence. Just Write: Here’s How! can be used as a textbook for high school writing classes or for creative writing workshops in public libraries. This book definitely belongs in every writer’s bookcase along with On Writing: a memoir of the craft by Stephen King. Add your Nonfiction Monday review here. Love the writing recommendations this morning. Just what I need. Thanks! Our public library has been offering a series of writing workshops and hosts a writer's group. I'll try to put Just Write: Here's How! into the right hands.Thanks for hosting, today. Walter Dean Myers is such a terrific writer and wonderful speaker. I haven't looked at this offering from him, but I can always use a writing how-to book to recommend. Can't wait to check this one out--thanks! I reviewed a book one of you also reviewed, Creep and Flutter: The Secret World of Insects and Spiders by Jim Arnosky. "Just Write" looks like a book I need to read because I still need a reminder to ... just write. Over at Archimedes Notebook I've got a handful of summer reading for rainy days - but also perfect for homeschoolers looking for some science books to get started with later this month.